Dr. Vega provides psychotherapy with a Cognitive behavioral therapy (CBT) approach, which is integrative to also include solution-focused therapy. 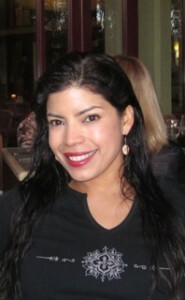 Dr. Vega is a bilingual, (Spanish) Licensed Psychologist practicing since 1990. She offers individual and group therapy in psychology in Pacifica, CA. Offering psychotherapy services between the hours of 8 a.m. and 7 p.m., Monday through Friday. Learn more about useful resources for mental health information. I combine my personal style with brief psychotherapy in a desire to create an atmosphere of safety, learning and growth. I practice Cognitive Behavioral Therapy (CBT) and brief, solution-focused therapy for a diversity of issues. As a Sports Psychology Consultant, Dr. Rosemary Vega helps professional and amateur athletes overcome problems, enhance their performance and achieve their goals. Dr. Rosemary Vega, Psy. D.
Dr. Vega is a superlative practitioner whose empathy, professionalism and skill creates a safe and nurturing environment in which to grow and change. Her work has helped me to find my own path working with others to bring health and wellness to the world one individual at a time. I wholeheartedly endorse and recommend Dr. Rosemary Vega. Dr. Vega is a bilingual, (Spanish) Licensed Psychologist (PsyD 22987) practicing since 1990. She offers individual and group psychotherapy in Pacifica, California near the San Francisco bay area. Dr. Vega provides therapy with a Cognitive behavioral therapy (CBT) approach. Her approach is integrative to also include solution-focused psychotherapy. Member of the American Psychological Association and National Latino Psychological Association.